Explore a variety of stitches, threads, and embellishment methods for your appliqué and embroidery projects while creating a sampler that can be turned into a wallhanging or pillow. We'll work with wool circles appliquéd to charm squares (or stitch directly on cotton/linen toweling if you prefer). 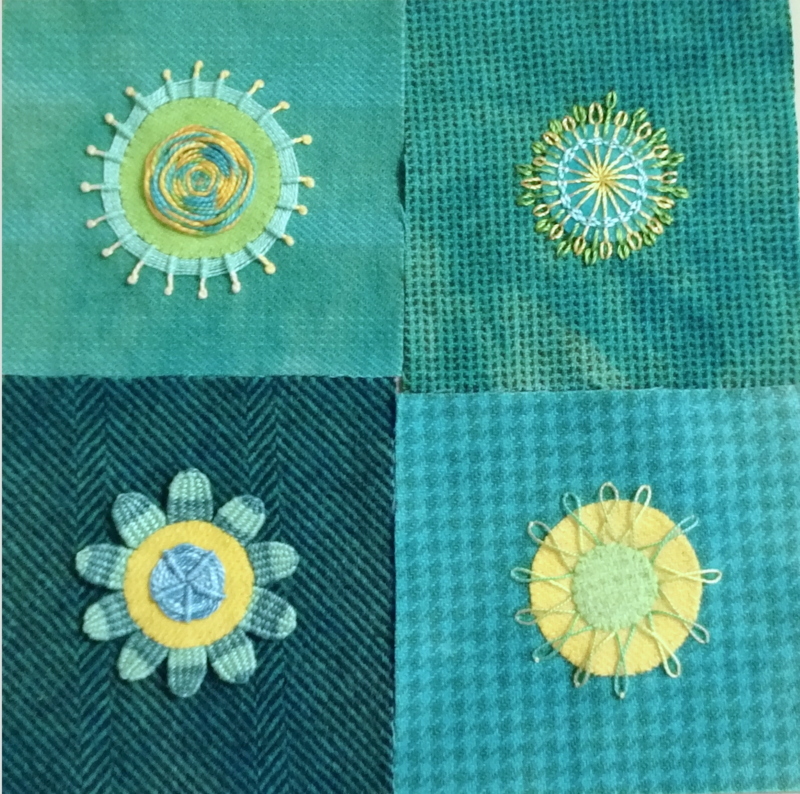 We'll learn a different set of stitches in each session, including creative variations on blanket and buttonhole stitches, chain stitches, woven stitches, and more. We'll also work with a range of threads and fibers to add texture and glitz. Class handouts will include stitch recipe cards with diagrams and instructions for the stitches taught. Come ready to play! Recommended: Creative Stitching by Sue Spargo. This book covers many of the stitches we'll work with and offers additional inspiration. Barbara and Vicki can help you make a selection of various wool scraps, circles and squares. If you are unsure about threads, bring what you have and we'll help you during class. Skill Details: Beginner and up. Requirements: Please see class materials list on class description. Must pay the fee in advance to attend the class. Fees are non-refundable, as teachers must set their schedules and miss other work opportunities in order to teach this class. We appreciate your understanding and consideration. Instructor Bio: Kevin Kosbab of Feed Dog Designs.